“If you want to work with a true fashion artist and visionary, you must work with Cass. Not only will she work together with you to create a quality long-lasting piece, Cass will take into account your specific style and fashion preferences. She will hone in on the smallest details to ensure the piece reflects the personality of the person it’s for, and think far ahead into the utilitarian aspects of the piece. I’ve commissioned Cass to work on two major pieces as gifts and she was meticulous from concept to fruition. The first piece was a very customized leather bag that had multiple areas sectioned out for specific use. The second was a leather iPad case. From the leather to the lining, to the zippers and the buckles, every detail was considered. She will go to great lengths to achieve the look of the piece - even hand sewing through thick leather! The final touch on each of the pieces was the personalization, which had my husband’s name hand painted on the inside - a very detailed and beautiful touch. 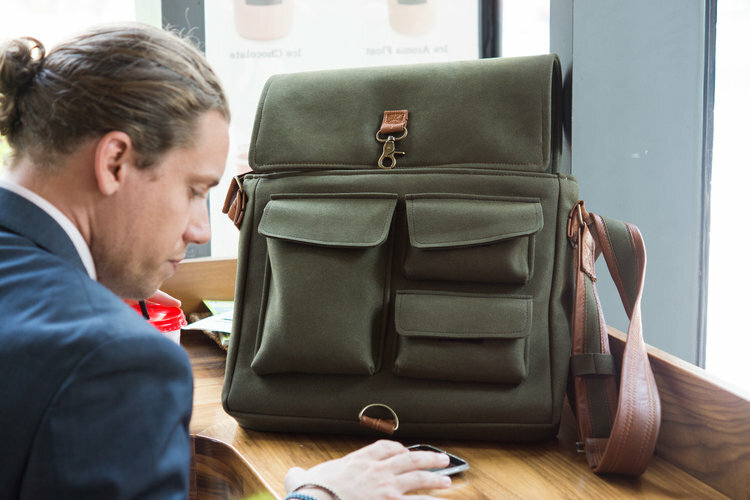 "Cassandra was really in tune with what she thought I would be into, in terms of style and colour, when I was searching for a new Messenger bag. She has a great sense of fashion and practicality, and I always get a lot of great comments on the bag she made for me from friends and family! The experience throughout, from ideation to completion, was lots of fun and I've since recommended Cass to many people looking to have something fun, custom, and uniquely made."